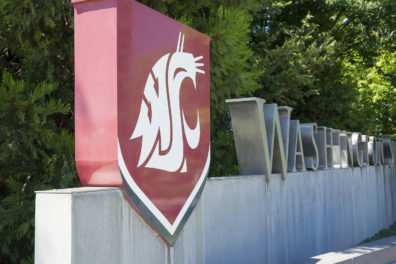 Washington State University’s Department of Nutrition and Exercise Physiology was awarded initial accreditation for its bachelor of science in nutrition and exercise physiology degree program by the Committee on Accreditation for the Exercise Sciences, under the auspices of the Commission on Accreditation of Allied Health Education Programs. NEP, which is part of the Elson S. Floyd College of Medicine, is the first exercise science program to be accredited by Committee on Accreditation for the Exercise Sciences in Washington and one of only 62 accredited programs in the U.S. Researchers at Washington State University Elson S. Floyd College of Medicine released a new report that shows eastern Washington counties suffer from higher mortality rates in nine out of 10 of the state’s leading causes of death than western Washington counties. 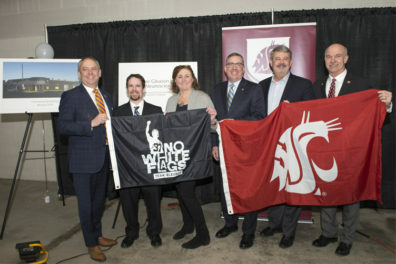 Washington State University Health Sciences Spokane and Team Gleason are proud to announce a collaboration to establish the Steve Gleason Institute for Neuroscience in Spokane’s University District. 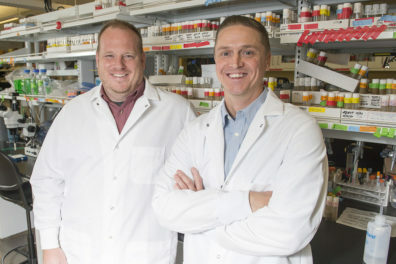 With support from a five‑year, $7.1 million NIH grant, a new WSU‑led national research center is working toward identifying and promoting effective treatments to reduce alcohol abuse among Native people. The Native Center for Alcohol Research and Education (NCARE) combines faculty and resources at WSU, the University of Colorado Denver, and the University of Washington. Star-shaped brain cells called astrocytes appear to play an essential role in sleep, a new study by scientists from the Washington State University Sleep and Performance Research Center confirms. Published today in PLOS Genetics, their study shows that astrocytes communicate to neurons to regulate sleep time in fruit flies and suggests it may do the same in mammals, including humans. 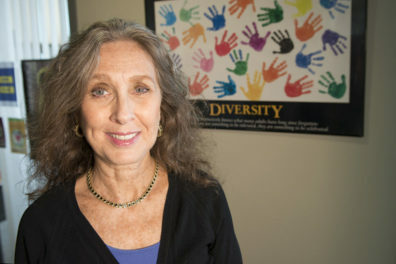 Washington State University will lead the establishment of a new center to advance research on Alzheimer’s disease and related dementias in Native populations across the United States. 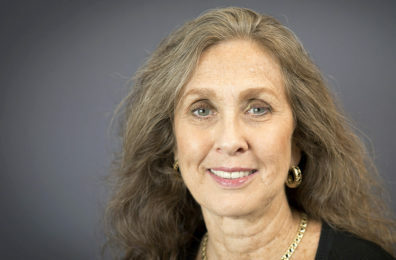 Funding for the new Native Alzheimer’s Disease-Related Resource Center in Minority Aging comes from a recently awarded $2.8 million five‑year grant from the National Institute on Aging, a component of the National Institutes of Health. A foundation created by a thrifty farmer in Grant County is making charitable gifts to both the Washington State University College of Nursing in Yakima and the WSU Elson S. Floyd College of Medicine in Spokane. 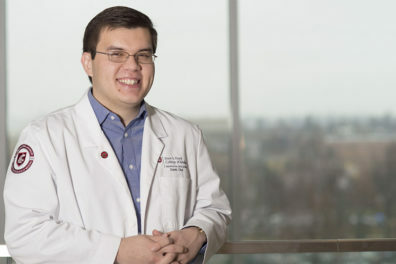 As part of its mission to expand medical education and health care access in communities across the state, the Elson S. Floyd College of Medicine is wasting no time establishing a presence in cities and towns across Washington—particularly in rural areas. Over the past two years, ESFCOM representatives have met with hospital and clinic staff in 37 of Washington’s 39 counties. As of the beginning of the 2018-19 academic year, the college has secured 63 affiliation agreements with clinical partners across the state, with 24 of them being in rural communities. Summer camp often triggers images of campfires, jumping in the lake and cabin hijinks. But summer camp with the Department of Speech and Hearing Sciences means something different—and something life-changing. It’s called Camp Candoo, a summer camp for children with apraxia, a severe speech disorder. 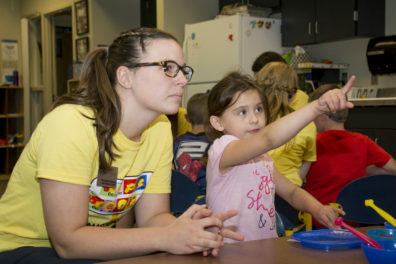 Candoo campers attend for two weeks of intensive speech therapy instruction and games. The children come from across the United States and even from Canada.